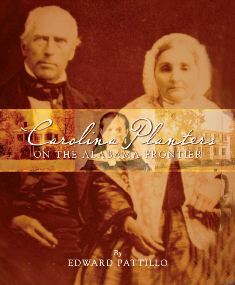 Well-known throughout the South as an art, antiquities, and estate appraiser, Edward “Eddie” Pattillo has compiled and written this impressive history of several pioneer families who made the trek from the Carolinas into early Alabama. Subtitled The Spencer-Robeson-McKenzie Family Papers, the handsomely produced book, which has been published via a grant from the Blount Foundation, contains photographs and well-organized documentation. At the heart of it is a really interesting, at times almost cinematically described narrative. At the age of eighteen, Pattillo traveled to South Carolina to meet some of his variously surnamed relatives. The people he found there let him copy old letters from migrated kinfolk who were spoken of as having "gone West." Two would become military generals: one in the War of 1812; the other in the Confederacy. Edward Pattillo's previously published work includes essays for Alabama Heritage magazine, two catalogues for the Montgomery Museum of Fine Art, and programs for Museum exhibitions, which include the memorable, highly acclaimed first Zelda Sayre Fitzgerald show in the 1970s. Julia Oliver's monthly column, The Literary Scene, appears on third Sundays in The Montgomery Advertiser.